Ahead of its opening on Saturday 2 February, Terri-Jane Dow gives us a sneak peek around the dreamy new exhibition opening at the V&A. Opening 2 February, the V&A’s latest exhibition looks at Christian Dior’s influence on the fashion world, from 1947 until now. With more than 500 pieces, over 150 items of which have never been publicly displayed before, it’s a fitting tribute to the fashion house which completely changed the idea of what style was. In post-war Paris, Christian Dior genuinely became a hero figure, creating full skirts and wide shoulders in a display of abundance where for years there had been a lack of. Women who had been making do and mending no longer needed to. With no more fabric rations or shortages, Dior used padding, corsetry and petticoats in his designs – and reams and reams of fabric. In 1947, he presented these voluptuous new shapes in his first collection, named Corolle, but termed “the New Look” by Carmel Snow, editor of Harpers Bazaar. 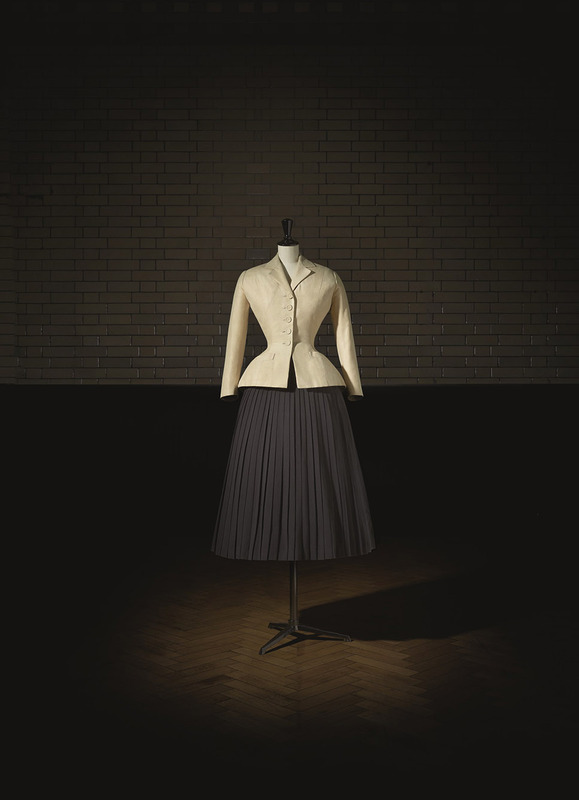 With its full skirt, cinched-in waist and wide-shouldered jacket, the Bar Suit redefined what fashion could be, cemented Paris as the heart of the design world, and changed the direction of fashion design forever. Dior’s designs influenced the fashion world so much that the Corolle dresses and his other silhouettes – the Zig Zag line, the Tulip, the Winged line - seem ubiquitous of the 1950s. It’s stunning to see these as sketches and early illustrations, to really see where they have come from. Christian Dior (1905–57), Bar Suit, Haute Couture, SpringSummer 1947, Corolle Line. Dior: Designer of Dreams was opened first in Paris, at the Musée des Arts Décoratifs two years ago, but has been expanded in its move to the V&A’s new Sainsbury Wing to include a British section – fitting for a couturier whose love for British tailoring was evident from the start. He wrote, "There is no other country in the world, besides my own, whose way of life I like so much. I love English traditions, English politeness, English architecture. I even love English cooking." Christian Dior had fallen in love with England as a visiting 21-year-old from Normandy, working on his English fluency. He went on to stage secret shows for the Royal Family (famously dressing Princess Margaret for her 21st birthday in 1951) and included British high society women in his personal client lists. Just ten years after founding his fashion house, Christian Dior died in 1957, and so although there will be inevitable comparisons with Savage Beauty, the V&A’s incredible Alexander McQueen retrospective from 2015, this is not just about Dior himself. This exhibition is much more a collaboration of the design house’s founder and its six succeeding artistic directors – Yves Saint Laurent, Marc Bohan, Gianfranco Ferré, John Galliano, Raf Simons, and Maria Grazia Chiuri (Dior’s first female, and current, director). Monsieur Dior travelled extensively with his work, often taking trips with models to showcase his designs, and there is a room dedicated to the influences and inspirations from other countries outside of French couture. With a mixture of dresses from all seven designers in every room, Galliano’s turquoise Egyptian dress with its Anubis head greets you as you walk in, and Chiuri’s Mexican inspired gowns are reminiscent of the V&A’s Frida Kahlo exhibition last year. Galliano’s designs are, perhaps unsurprisingly, the most outlandish – pulling your eye toward them in every room. Chiuri’s lines are softer, closer in similarity to Bohan’s designs than anyone else’s. The dresses by Yves Saint Laurent, just 21 when he took the helm at Christian Dior, make the 1960s swing shape feel timeless. It’s interesting to see the threads which run through all of the designs, and what each of the House’s directors has chosen to emphasise or minimise. Though the vast majority of the exhibition mixes the directors designs, there is a section dedicated to each individual designer. It feels very special to see the influences each designer has had on the next, and how the last 70 years at Dior have shaped fashion elsewhere. As the biggest V&A installation since Savage Beauty, there are 11 rooms to walk though, and each dress here is completely made by hand. Especially in light of that fact, the scale of the exhibition is breathtaking. 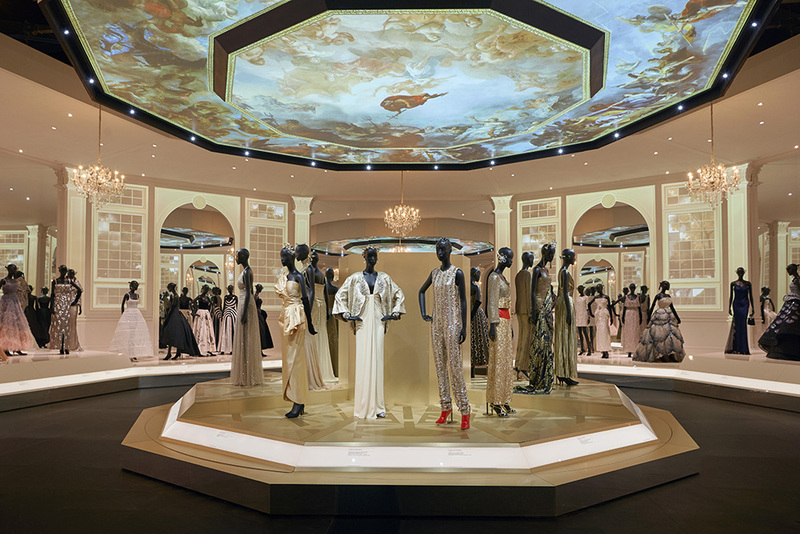 As well as the finished haute couture dresses, there is a room of cotton toiles on display, and a film of Dior’s staff, Les Petits Mains (literally, “the little hands”), at work. The ‘garden’ room, decorated with thousands of paper flowers, is truly spectacular. The Ball Room, with a centrepiece of glittering gowns, changes lighting as you walk around it – from bright daylight, to a glitzy party, to a night sky complete with shooting stars dancing across the ceiling. Handily, there’s seating, from which you can sit and watch the show. The exhibition runs until July, and I’ll definitely be back for at least three more visits before it closes. 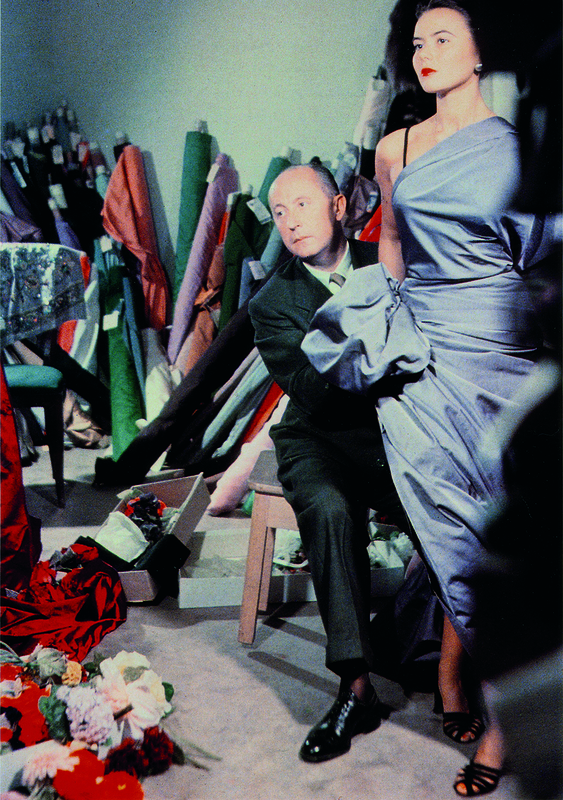 Christian Dior: Designer of Dreams, supported by Swarovski, runs from 2 February – 14 July 2019 at the V&A Museum, South Kensington.